Upon check-in, guests are welcomed to a covered pavillion island in a cliffside, trickling infiinity pond. It's really indescribable- the sound of the water, the ocean breeze, the dappled sunlight- and unfortunately I was too busy sipping my tropical fruit juice cocktail to take any pictures. 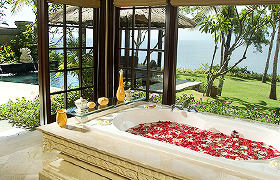 We stayed in a stunning, secluded cliffside villa with it's own private pool and rose petal-filled bath. 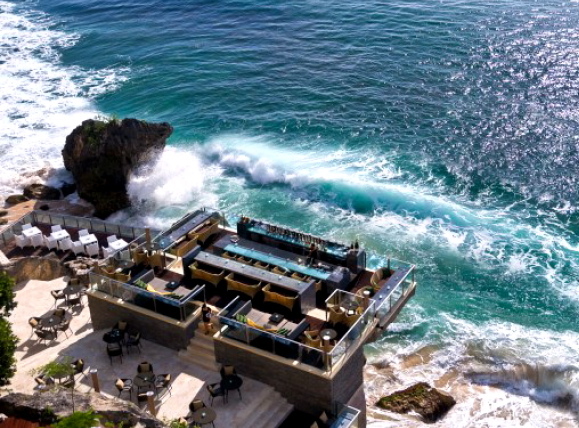 Prior to a private dinner at the villa (the staff covered the terrace and lawn in candles and flowers, there were several butlers serving the meal and on-hand to refill wine glasses, and musicians serenaded us with Balinese folk music and Elvis Presley classics) we wandered down to the exclusive Rock Bar for cocktails amidst the crashing surf. The amazing accommodations aside, I see one interesting convenience. 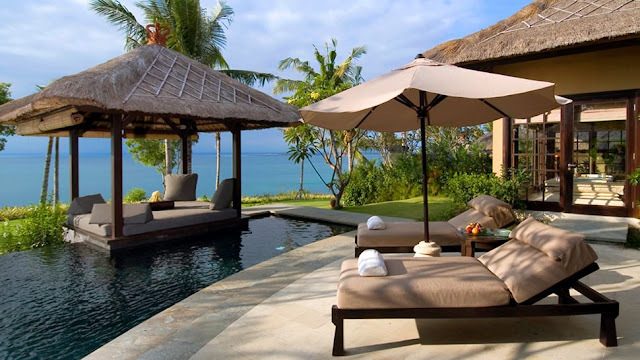 The beach is right below the pool. 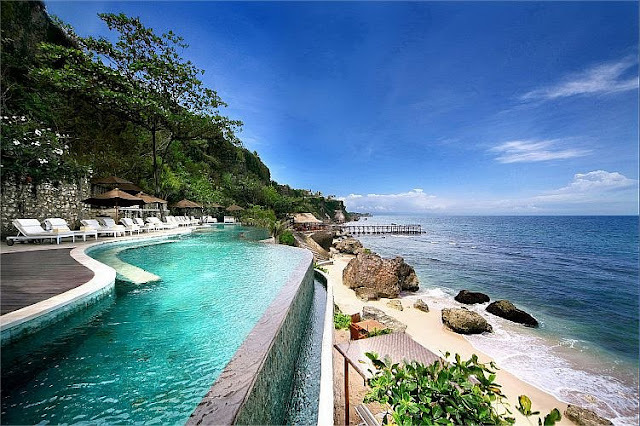 If I were there, I could just jump down and hit the surf if I ever got tired of the pool. Ahhhh...ahhhh. Can they get this ambiance into a bottle?